The Best Time to Visit England... is Not When it Snows! So we had our bit of winter. It started with a flurry of snow, followed by two days of freezing fog and hoarfrost. Where we live, at least. 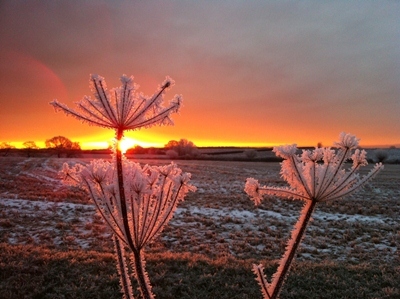 Just down the road in Bicester, Shane Clarke from local furniture store A World of Oak captured this glittering sunrise. Stunning, right? The next day it started snowing in earnest. It caused havoc, as it usually does in a country where snowy days are few and far between. But unusually, a week later the snow was still with us. The havoc wasn't, I'm pleased to report. Our local council did a great job to keep the roads ice-free. If you live in a small village, that's much appreciated. But England wouldn't really be England if the snow stayed long, and so, just 9 days later it's all gone... and I have the first flowering primroses in the garden, along with green crocus and bluebell shoots. Pretty and entertaining as the snow was, I'm really looking forward to spring now. How do YOU pick important dates? How do you choose the important days in your life? Wedding days, house moves, new jobs, coronations? I've already told you the story how Henry VIII decided on a wedding date that would most inconvenience his staff. His daughter, Queen Elizabeth I, was nowhere near as careless when it came to her coronation. Actually, she didn't even try to make such a momentous decision herself and instead consulted her personal soothsayer. Yes, you did hear that right. Her personal soothsayer. Dr. Dee, one rather colourful character, consulted the stars and decided on January 15th as the most auspicious day for Elizabeth's coronation. And once she had the date that prophesied her reign to be "glorious and prosperous", Elizabeth went to town. Literally. The two-day festivities started with a grand procession from the Tower of London to Westminster. The streets were crowded and the soon-to-be-queen had to stop her progress frequently to be serenaded, lauded and presented with gifts. The coronation service at Westminster Abbey and the grand banquet held in Westminster Hall the following day were equally sumptuous. And as for the prediction of glory and prosperity for Elizabeth's reign... I think Dr. Dee deserves points for getting that right. 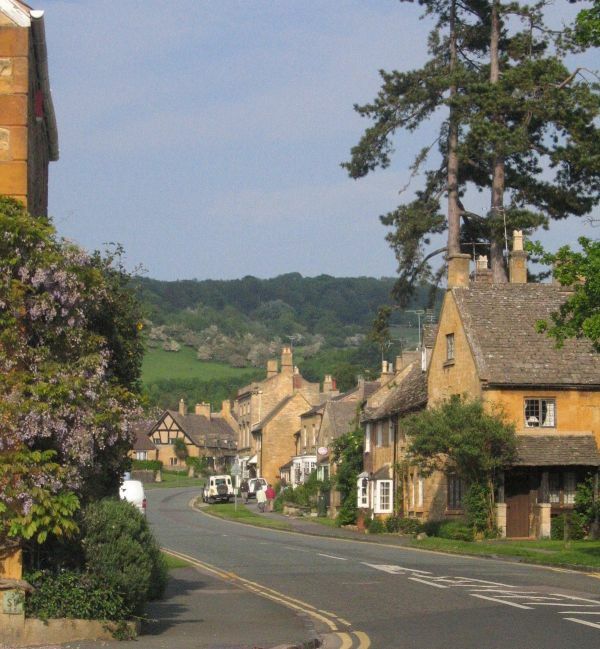 The Best Time to Visit England Is...? The Weather: Not to be discounted. This is England ... and we're famous for our weather. Really, really hot days are as rare as snowy ones, but they do happen. And it's always good to have rainwear with you. That said, March / April and September/ October can all be very nice with long sunny spells and pleasantly warm. And while summer days are long and the evenings balmy and light, days in winter are markedly shorter - it gets dark around 4pm in December and is not properly light until around 8am. School Holidays: During school holidays (summer, Easter, Christmas, spring and autumn half-term) roads, resorts and attractions are busier allround and hotels, hire cars etc. are more expensive. If you plan to visit during these times, it's worth to book as far ahead as you can. Bank Holidays: Good Friday, Easter Monday, the first and last Monday in May and the last Monday in August are officially Bank Holidays, ie. public holidays. Many people take a long weekend or plan their holidays to include these dates. Traffic can be a nightmare and everywhere (including airports) is super busy. Book well ahead or choose the weeks just after for your visit. It's quieter and cheaper, too. Historical monuments & Stately Homes: Many historical monuments and stately homes are closed or operate on reduced opening hours during the winter months, often between mid-end November and Easter. If you love to visit stately homes and explore historical places, check opening times before you book. Many are run by either The National Trust or English Heritage and opening times for properties can be found on their websites. Exploring Cities:While there's a lot happening year round, city breaks are really good value outside of the main holiday season. Holiday apartments, hotel rooms and B&B accommodation can often be found at heavily discounted rates, museums tend to be open all year round and many cities put on special events to attract visitors. And if there's anything else you'd like to know... please ask and I'll find out! I love recipes that make use of leftovers. 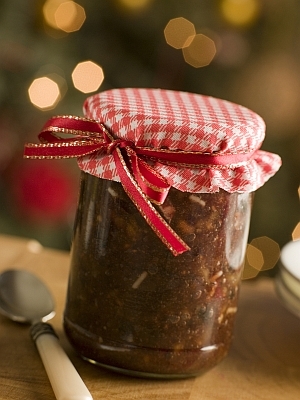 And January is a good time to finish that jar mincemeat that's still lurking in the cupboard, leftover from the Christmas baking spree. So here's a Yorkshire recipe for fruit buns that does exactly that. As well as the ingredients, you need a 12-hole patty tin, also kown as a mini muffin pan. These buns need a fairly hot oven, so make sure you preheat well at Gas 8 / 230°C / 450°F. While the oven heats, grease your patty tin, then cream teh sugar and lard until light and fluffy. An electric whisk is a godsend here, otherwise you'll get a workout. Add the mincemeat and mix carefully. Sift in the flower and baking powder and stir until completely incorporated. Beat eggs and milk in a separate bowl and add this mix gradually to the flour and mincemeat. You want a stiff dough that clings to the spoon, so you may not need to add all the milk. Spoon the bun mix into the patty tins and bake for about 15 minutes. They're done when golden. Then just turn out on a wire rack to cool and serve at teatime. While snowy England looks pretty and frosty England can be downright spectacular, I hope that's it with the winter for this year. We're starting to get itchy feet, wanting to go out on the tandem and wanting to explore places... and there'll be stories for you next month.